Let’s talk a detailed look at ROUSH Supercharger Kits. See, I recently discovered ROUSH performance vehicles and have an entire ROUSH playlist on my YouTube channel, Build Your Own devoted to all things ROUSH. I thought, “Why not document everything I find as I learn more about ROUSH Superchargers?”, which I guess, are also called, ROUSHchargers. You can bolt-on a ROUSH supercharger kit to a Ford Mustang, or you can buy a full turnkey ROUSH vehicle like the 2017 Stage 3 ROUSH Mustang. Today, what I want to look at and talk about is the individual ROUSH supercharger kits you can get for 2006, 2015, 2017 and 2018 Ford Mustang because those are the popular years. I will cover the 3 stages of ROUSHcharger kits available; Phase 1, Phase 2 and Phase 3, plus look at those specific model years I mention and look at common ROUSH supercharger upgrades guys are doing on those. Lastly, we can’t talk about ROUSH superchargers without talking about install cost and common problems. We’ll look at all that too. Before we start talking about the different phases of ROUSH superchargers that you can get on a Mustang, or how much it costs to install, let’s actually talk a little bit about the history of the ROUSH Mustang. And from what I can gather, Jack Roush created ROUSH Performance Products in 1995 and that’s when things became official. He had tried to sell Ford on a twin turbo 5.0 putting out 400HP back in 1988, but Ford showed him the door. I guess there’s something to be said for never giving up on your dreams, huh? I wasn’t aware that there were generations of ROUSH vehicles, just like manufacturers have generations. Still not so sure about it. But from all the information I research online, it seems pretty clear the first generation ROUSH Mustang was available through 1998 and was available in three stages. Stage 1 ROUSH Mustang comprised of 17-inch ROUSH wheels, special side rocker skirts, rear deck lid wing and front spoiler. For people who contested the heritage of the automobile, a quarter-window decal package took care of that. Inside, a ROUSH emblem package decorated front seats. The finishing touches were a ROUSH Dash medallion and ROUSH embroidered floor mats. Buyers could also tack on functionality side exhausts and rear valance. Stage 2 ROUSH Mustang added a handling package. The Stage 2 received everything in Phase 1 and a pinion snubber, back anti-roll bar, special front and rear springs and Koni adjustable struts all around. Both the Stage 1 and Stage 2 ROUSH Mustang’s were powered by Ford’s 5.0-liter V-8 rated at 215 horsepower. Stage 3 ROUSH Mustang started out as a stage 2, then tacked on a 65mm throttle body, custom three-piece ROUSH double plenum intake assembly, high flow air filter and specific fuel rail. A custom made cowl induction hood covered all the niceties. Dyno tests proved an extra 47 horsepower with all the additions. Optional CNC ported cast iron heads or aluminum heads could additionally be arranged for extra horsepower. Seems with this second generation ROUSH Mustang, packages and options varied more over the years. The second generation of ROUSH Mustang was between 1999 and 2004. 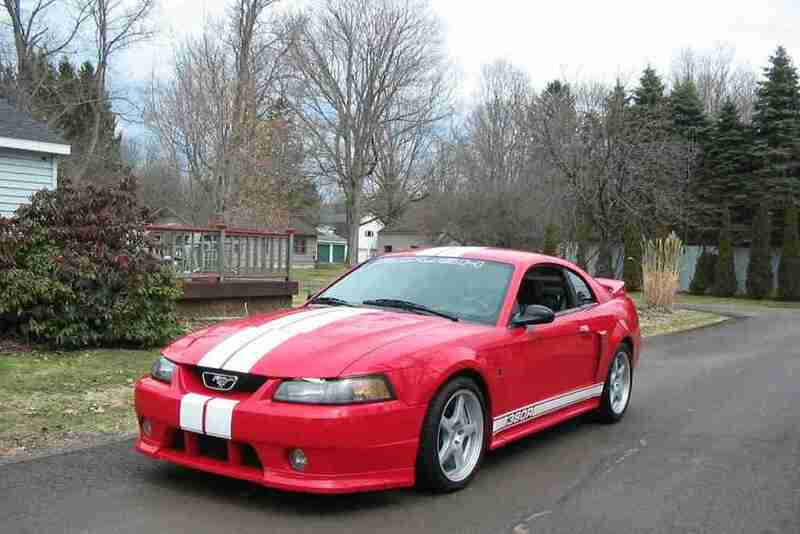 As usual for ROUSH vehicles, the Mustang was offered in 3 stages and ROUSH had packages for the V6 and V8 engines. There was also a “ROUSH Sport Mustang” package. 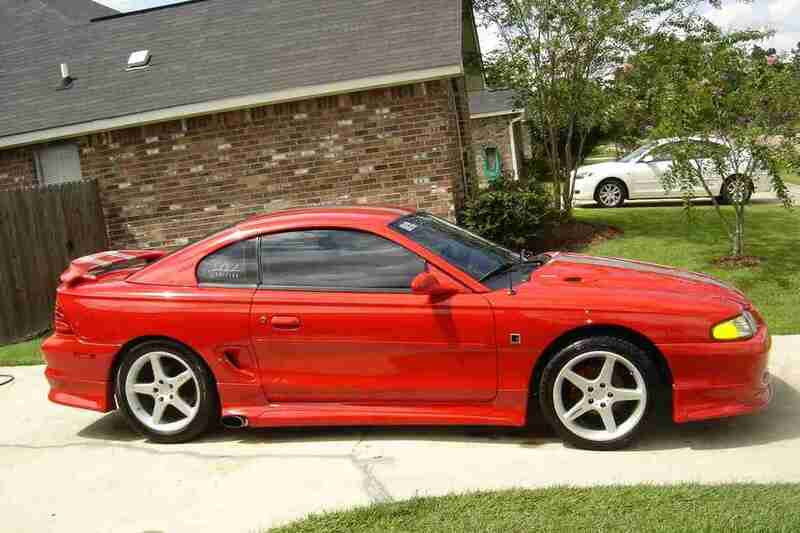 It was the base package and came with upgraded exhaust, some exterior mods and interior tweaks. When model year 2002 rolled around, additional packages were added; stage 3 sport, stage 3 rally and stage 3 premium. To me, this is where the generation thing gets a little sloppy (and why I questioned it to begin with). But I want to have ALL the information in one place, so I will include this info on 3rd generation ROUSH Mustang’s as well. If you have something to contribute to this article, please leave a comment below. Looks like the third generation ROUSH Mustang came out in 2005. There was ROUSH sport, stage one, two and three packages, as well as a many special editions. There was the 427R, BlackJack, 428R and Speedster just to name a few. 2010 was a big year at ROUSH as they revamped their lineup. They still had the standard stage 1, stage 2 and stage 3 ROUSH Mustang packages, but there was also the 427R and a new for 2010 ROUSH 540RH. It put down 540-horse and 510-torque. Stout. 2012 saw the release of a new stage 3 ROUSH Mustang. There were stripes, special badging, special interior features and of course, performance upgrades. For 2013, ROUSH added a package for the V6 Mustang. It featured a standard 305 horsepower power-train, along with a high flow upper grille, front chin splitter, side rocker splitters, and rear decklid spoiler. The car also featured custom 18-inch premium painted aluminum wheels. The trail becomes less clear at this point, but I think 2015/2016 could be considered the fourth generation. I’m not exactly sure, but that’s when Ford redesigned the Mustang in 2015 and of course, ROUSH had to change up it’s offerings. If you think you have some clearer information on this, leave a comment below. The 2016 ROUSH lineup covers the full spectrum of Mustang platforms, from the 4-cylinder EcoBoost Mustang, the V6 powered RS model, all the way to the popular Stage 3 ROUSH Mustang. What are ROUSH Phased Mustang Superchargers? The concept of Phased superchargers is quite simple: Choose a core system now and have the ability to upgrade power and performance later. Seems simple enough to me and I like it. What’s cool, is that ROUSH is a recognized leader in power-train and engine calibration development. Because you can buy a ROUSH Mustang through the dealer (with a warranty), you can be sure that ROUSH spends 1,000’s of hours researching and testing ROUSH superchargers before one ever makes it into your car. ROUSH says they build quality parts you can count on and that they have the most complete lineup of street-legal parts, more than any one automotive aftermarket company. All their ROUSHchargers are tested before being shipped and come with a warranty. While I’m not expert on superchargers, I do know EATON is a name that is synonymous with quality superchargers. Their superchargers are roots-type, positive displacement superchargers and are highly engineered to strict tolerances. ROUSH uses EATON’s Twin Vortices Series (TVS) Supercharger and they are employing a newly redesigned air inlet and outlet ports. Looks like ROUSH is offering five different superchargers ranging from 2005 though 2018. What I didn’t list below is the stage 1 right-hand drive hardware for 2015-2017 Mustang’s and I also didn’t list a supercharger pulley upgrade kit for 2011-2014 models. 2018 ROUSH Mustang Supercharger Kit ($7,699.99) – Fits 2018 Mustang GT 5.0L V8. ROUSH/Ford Performance TVS R2650 Phase 1 Supercharger System. Produces 700 horsepower/610 lb-ft of torque. Compatible with both manual and automatic transmissions. 2015-2017 ROUSH Mustang Supercharger Kit ($7,100.99) – Fits 2015-2017 Mustang GT 5.0L V8. Not applicable to vehicles with adaptive cruise control. ROUSH/Ford Performance TVS R2300 Phase 1 Supercharger System. Produces 670 Horsepower/545 ft-lbs. torque. Compatible with both manual and automatic transmissions. 2011-2014 ROUSH Mustang Supercharger Kit ($6,530.99) – Stage 1 produces 575 horsepower and 505lb-ft of torque (155 hp gain and 115 lb-ft gain over stock). 2011-2014 Ford Mustang 5.0L 4v engine (excludes BOSS 302). Available for manual and automatic transmission. 2010 ROUSH Mustang Supercharger Kit ($5,799.99) – This Mustang Supercharger, from ROUSH® increases your car’s total power to 475hp and 435lb-ft at the flywheel. 2005-2009 ROUSH Mustang GT Supercharger Kit ($6,280.99) – Stage 1 ROUSH TVS 2.3L Roots-Style Supercharger (475HP/435 ft-lb). Fits 2005-2009 4.6L 3V Mustang GT (manual transmission only). If a phase 1 (I prefer to say stage 1) ROUSH Mustang Supercharger isn’t enough for you, there’s a stage 2. There looks to be four stage-2 supercharger options from ROUSH for the Mustang. What’s great about these ROUSHchargers is the warranty and all the testing they’ve done. You know you can bolt-on any ROUSH supercharger (regardless of phase) and it’s just going to perform as advertised. Like with their stage 1 superchargers, ROUSH has a few stage 2 components that I won’t list below. There’s a 2015-2017 stage 1 to stage 2 upgrade kit and there’s a similar kit for the 2011-2014 Mustang. If you have a 2005-2010 Mustang, ROUSH has an upgrade for you too. And the last thing I’m not including below is the right-hand drive hardware for the 2015-2017 Ford Mustang. 2015-2017 ROUSH Stage 2 Mustang Supercharger Kit ($7,799.99) – 727 hp @ 6850rpm and 610 lb-ft @ 5000rpm. That’s +292 hp (+67%) and +210 lb-ft (+53%) increase over stock (435hp/400 lb-ft). Fits BOTH manual and automatic transmissions. R2300 Supercharger featuring new TVS Technology. 2011-2014 ROUSH Stage 2 Mustang Supercharger Kit ($6,860.99) – Produces 625 horsepower and 525lb-ft of torque (205-213 hp gain and 135 lb-ft gain over stock). 2011-2014 Ford Mustang 5.0L 4v engine (excludes BOSS 302). 2010 ROUSH Stage 2 Mustang Supercharger Kit ($6,699.99) – This Single Belt Phase 2 ROUSH Supercharger brings your Mustang’s power to 550 hp and 500 lb-ft at the flywheel. No transmission info found. 2005-2009 ROUSH Stage 2 Mustang Supercharger Kit ($7,180.99) – This Mustang ROUSHcharger Kit is engineered for the 2005-2009 Mustang and brings your car’s total power to an impressive 550 hp and 500 lb-ft at the flywheel. Okay, so when you make it up to stage 3 kits for ROUSH Superchargers, there isn’t anything for the 2015-2017, or 2018 model year Mustang’s and I’m not really sure why? At any rate, there is a ROUSH Supercharger Kit for the 2011-2014 Mustang and if you already had a lower stage, there’s some upgrade kit options, which I won’t list here. ROUSH also has a stage 3 kit for the 5.0L Ford Aluminator Engine, which wasn’t mentioned in the other stages. ROUSH offers a full kit which I will list below, but they also have a stage 1 to stage 3 upgrade, as well as a stage 2 to stage 3 upgrade. Of course those upgrade packages are significantly less. I cover them in my video. 2011-2014 Mustang Stage 3 ROUSH Supercharger Kit ($7,570.99) – Produces 675 horsepower and 585lb-ft of torque (255 HP gain and 208 lb-ft gain over stock). 2011-2014 Ford Mustang GT 5.0L-4v engine — Manual transmission only (excludes BOSS 302). 5.0L Ford Aluminator Stage 3 ROUSH Supercharger Kit ($7,199.99) – Produces 675 horsepower and 585lb-ft of torque (255 HP gain and 208 lb-ft gain over stock). For use ONLY on the NATURALLY ASPIRATED 11.0:1 Compression Ratio Ford Racing 5.0L Aluminator Crate Engine — manual transmissions. Whenever I do a Google search for ROUSH supercharger related stuff, inevitably, certain popular years of Mustang’s keep popping up as alternate search suggestions. Well, I want to take a closer look at those specific years of ROUSH Mustang that keep showing up in Google search results over and over again. So if you have a 2005-2009 4.6L 3V Mustang GT with a manual transmission, you can get a stage 1 or stage 2 ROUSH Supercharger kit. Doesn’t look like ROUSH offers the cheaper upgrade option from phase 1 to phase 2. Stage 1 ($6,280.99) – Phase 1 ROUSH Supercharger (475HP/435 ft-lb). Fits 2005-2009 4.6L 3V Mustang GT (manual transmission only). Includes all necessary hardware needed to complete installation. Stage 2 ($7,180.99) – Phase 2 ROUSH TVS 2.3L Roots-Style Supercharger (550HP/500 ft-lb) and for manual gearbox cars only. You’ve got options up to 727HP if you have a 2015, 2016, or 2017 Mustang. That’s the same level of horsepower found in the 2017 ROUSH P-51 Mustang actually. ROUSHcharger Kits for these Mustangs work whether you have the 6-spd. automatic transmission, or the manual. Unlike the 2005-2009 Mustang, there IS a stage 1 to stage 2 upgrade kit, if you already have stage 1 installed. Stage 2 ($7,799.99) – ROUSH Performance’s Phase 2 Supercharger system boosts performance to 727 horsepower for the 2015-2017 Ford Mustang 5.0L V8. As of this writing, the 2018 Ford Mustang is new and as such, there’s only one stage of ROUSH Supercharger and it produces 700 horsepower/610 lb-ft of torque at 12psi with 91 octane fuel. This kit fits both automatic and manual-equipped 2018 Mustang GTs, and comes with all hardware for installation. It is warrantied when installed by a Ford dealer or an Automotive Service Excellence-certified technician. Stage 1 ($7,699.99) – 700 horsepower/610 lb-ft of torque. Manual and automatic transmissions. Fits 2018 Mustang GT 5.0L V8. It’s fun to look at and dream about installing a ROUSH Supercharger on your Mustang, but at some point, you’re going to have to part with some serious cash to do so. 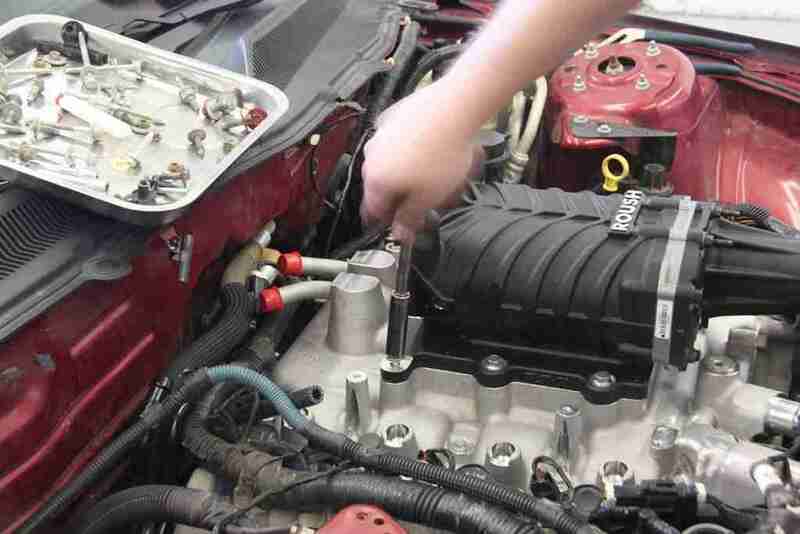 In this section I want to try and compile some general information on what it costs to have a ROUSH Supercharger installed and where you can actually get that done. After doing about 30 minutes of searching online, it was clear that you can probably go to your local Ford dealer and have a ROUSH Supercharger Kit installed. A popular automotive website spoke to a non-ROUSH dealership that said they would do the install for about $1500 dollars. That was for a 2016 GT stage 2. The cost of that kit itself is about $7800. A Ford dealer that does do ROUSH vehicles also confirmed that price. Seems to me even if it was closer to $2K, to have the Ford dealer do it would give me piece of mind. ROUSH is happy to ship a Supercharger Kit anywhere you want, so you can have any local shop do it, you can do it, or you can even send your Mustang to ROUSH and they will do it at their Speed Shop. That Ford dealer I was talking about said they charge $110 an hour. So if a customer were to get it installed at their facility it would be approximately $1400-$1500 with all applicable fees. Obviously, how much you pay will vary, but now you at least have a ballpark figure. I thought I was going to find a bunch of issues, and I really didn’t. Thing is, ROUSH does a lot of R&D. They had to in order to offer their packages on a pre-titled vehicle. ROUSH Superchargers sure go through a rigorous testing and approval process to be put on new Ford Mustang’s. Seriously. That says a lot in and of itself. While I didn’t find much in the way of notable issues guys were having, one guy in a forum had put up a link to an article comparing a roots-style to a twin-screw style supercharger. ROUSH uses EATON superchargers, which is a roots-style supercharger. That link was dead the guy had up (old post), so I do my own Google search. The very first article I read, clearly laid out the benefits of a twin-screw over a roots-style. 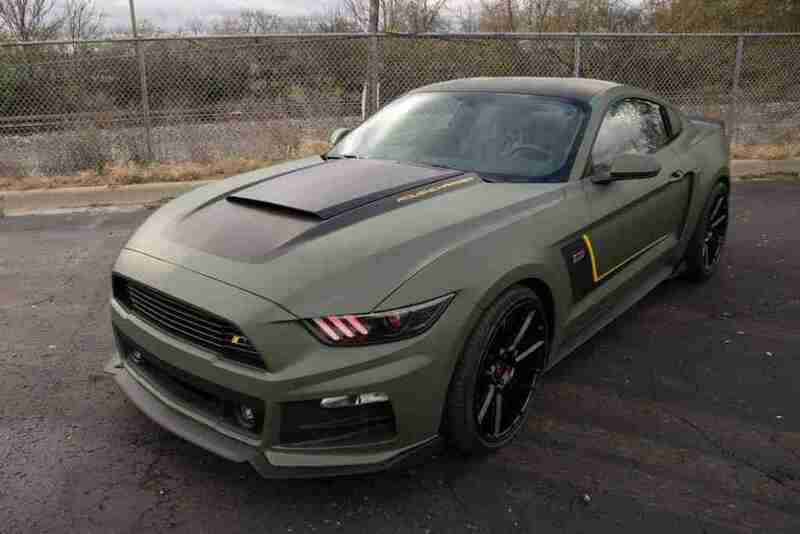 I’m not going to say whether the twin-screw is better than the roots, all I know is ROUSH is making some great kits for the Mustang and they’ve got the backing of a automotive manufacturer, one of the biggest in the world. And there’s no real issues out there that I was able to uncover. I am curious about which style supercharger you think is better. Leave a comment below. I am in love with ROUSH Mustangs and having one of my own is on the short list! That said, I want this page on ROUSH Superchargers to be a resource for guys like me/us, who are into ROUSH Mustangs. Whether you have been for years, or just getting into like me at the time of this writing. I’m also encouraging contribution from readers like you. Meaning, if you have something of value to add to this article, please leave a comment below. I hope you found this information helpful and if you did, please share the content.